The Northrop Grumman Cygnus spacecraft, launched last Wednesday, April 16, has just reached the International Space Station and was captured by Canadarm2 robotic arm. Astronaut Anne McClain, assisted by her colleague David Saint-Jacques, will soon begin the slow maneuver to move the Cygnus until it docks with the Station’s Unity node after about two hours. 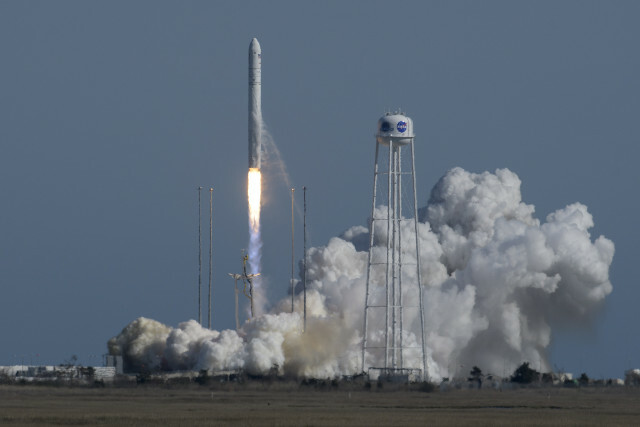 A few hours ago Northrop Grumman’s Cygnus spacecraft blasted off atop an Antares rocket from the Mid-Atlantic Regional Spaceport (MARS), part of NASA’s Wallops Flight Facility (WFF) on Wallops Island. After about nine minutes it successfully separated from the rocket’s last stage went en route to its destination. This is its 11th official mission, called NG-11 but also CRS NG-11, to transport supplies to the International Space Station for NASA, the second for Northrop Grumman Corporation after completing the acquisition of Orbital ATK. A few hours ago the Progress MS-11 spacecraft blasted off atop a Soyuz 2.1a rocket from the Baikonur Cosmodrome in Kazakhstan. 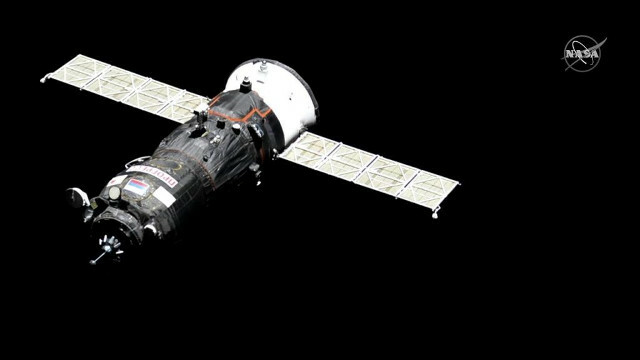 After about nine minutes it successfully separated from the rocket’s last stage and was placed on its ultra-fast track in its resupply mission to the International Space Station also called Progress 72 or 72P. 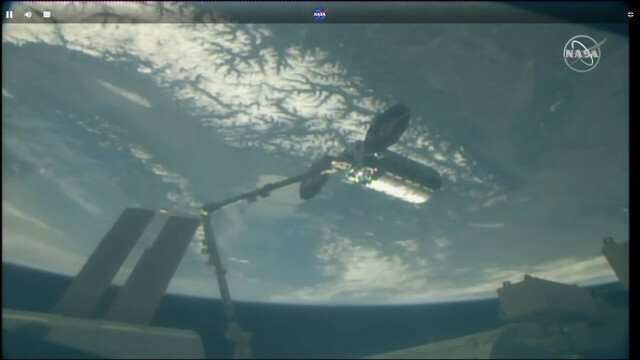 After almost 3.5 hours it reached the International Space Station docking with its Pirs module. 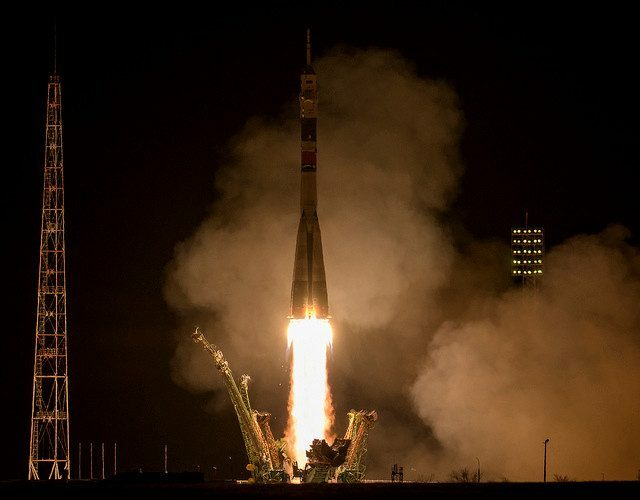 A few hours ago the Soyuz MS-12 spacecraft reached the International Space Station carrying the three new crew members Christina Koch, Alexey Ovchinin and Nick Hague, who complete the Expedition 59 crew. It blasted off about 6 hours earlier from the Baikonur Cosmodrome in Kazakhstan. 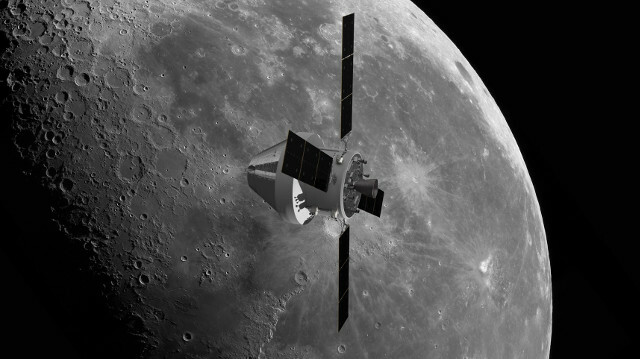 At a press conference, NASA administrator Jim Bridenstine announced the new version of the agency’s plans to bring astronauts back to the Moon and build the Lunar Gateway over the next decade as steps to bring astronauts to Mars during the 2030s. Jim Bridenstine referred to the NASA budget for 2020, which at $21 billion sees an increase granted also to push ahead with these new plans.